Last week I found myself in a grey area. I set up a one-on-one tech appointment with a patron to go over the basics of her new Android tablet. Once we met in person I learned that what she really wanted was to monitor her daughter’s every move online. It felt like a typical help session as I showed her how to check the browsing history and set up parental controls. She had all the necessary passwords for her daughter’s email and Facebook accounts, which made it even easier. It wasn’t until she left that I realized I had committed a library crime: I completely ignored the issue of privacy. I’m still mulling this over in my head, trying to decide how I should have acted. I’m not a parent, so I can’t speak to the desire to protect children from the dangers of the Internet. Chances are her daughter can work around her mom’s snooping anyhow. But as a librarian, a champion of privacy, how could I have disregarded the issue? A friend of mine put it best when he said that situations like this devalue what we do. We’re here to help people access information, not create barriers. Being a parent in the age of the Internet must be a scary thing, but that doesn’t mean that any regard for privacy goes out the window. At the same time, it’s not our job to judge. If the same patron came in and said she wanted to learn about parental controls for a research paper, I wouldn’t have given it a second thought. You can see how the issue gets cloudy. Ultimately, I keep going back to a phrase I learned from Cen Campbell, founder of Little eLit at ALA last year: “We are media mentors.” We are not parents, and we’re not teachers, rather we are media mentors. It’s our job to work with parents, educators, and kids to foster a healthy relationship with technology. Regardless of right or wrong, I was too quick to jump in and give her the answers, without going through a proper reference interview. I suspect that she was afraid of all the things she doesn’t know about technology; the great unknown that her daughter is entering when she opens her web browser. That was an opportunity for me to answer questions about things like Facebook, YouTube, and Snapchat, instead of blindly leading her to the parental controls. After all this, one thing I know for certain is that the next time I find myself in this situation, I’ll be slow to act and quick to listen. I would love to hear back from other librarians. How would you act in this situation? 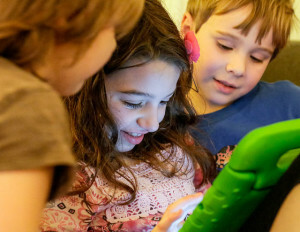 What’s the best way to work with parents when it comes to parental controls and privacy? General information CIPA, parental controls, privacy. permalink. This is a big fat “it depends”. The age of the child makes all the context here. Elementary school? A pretty easy case to make for parental controls. Middle school? A little harder. High school? That is arguable that it should be a case-by-case basis depending on any number of factors such as emotional age, parent-child relationship, and the boundaries set by the parent. Even then, different states have laws that may regulate parental access to their children’s activities. For example, in NJ, we have a very strong library record privacy statute *and* a statute that gives parents access to their children’s records. It’s a giant gray area that we are looking to find a balance point that both respects the privacy of the child while complying with a parental request. We don’t know how the laws will clash until we have a test case; until that time, we have to make our best guess as to the spirit of both laws. For what it’s worth, I know of an instance in which the condition for a teen’s online presence was that she had to make her social media passwords available to her parents. Not that they strictly check up on her, but that she knows that they have it as a deterrent to any impulses to misbehave. While I don’t know if that’s the case here, I don’t think that a parent making it a condition is out of bounds either. The teen then has a choice as to whether they want to participate or not under those conditions. It’s not the best choice in the world, but it’s not a completely unfamiliar one that all of us at one time or another were given by our parents. I don’t find anything wrong with how you handled the situation. If you felt like you needed to ask more questions before taking it on, then all the power to you. But there is no easy answer for this but I would urge my peers to choose to help in a case like this. Who knows, maybe the next one-on-one tech help appointment will be a teen looking for anonymous ways to browse online? To a considerable extent, I think librarians are responsible for holding their noses and getting the patron the information they need. That said, I am ideologically opposed to parental controls and would be happy to show teenagers how to get their browsers into privacy mode or use Tor. Leanne’s post raises another important issue: Are librarians to a greater or lesser extent ethically (and/or legally) responsible for what is done with the information they knowingly provide?